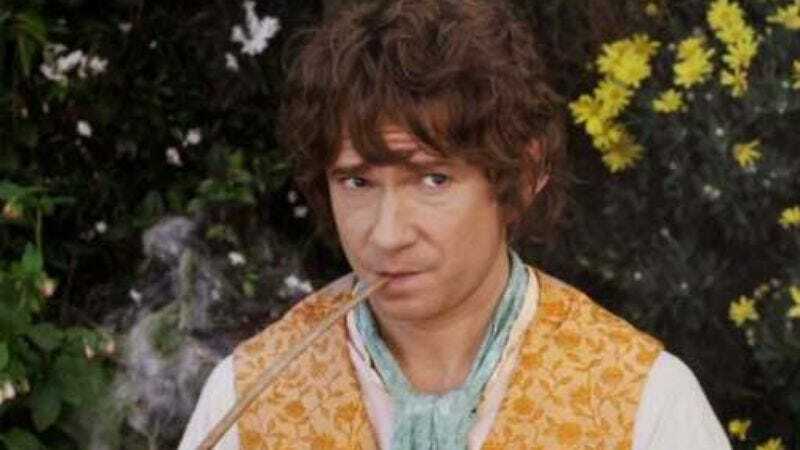 In news that may shake the very foundation of Tolkien scholarship (but probably not), a report has emerged saying New Line is considering changing the name of the final Hobbit film just months before its release. The rumor comes courtesy of fan site The One Ring, who passes along that the studio has registered the title The Hobbit: Into The Fire. That action-oriented title would replace the slightly more quaint, There And Back Again, which was originally set to accompany the final film in the trilogy, as well as 2 Fast 2 Hobbit, which was probably jokingly suggested in a comment section somewhere. Should it happen, Into The Fire—a reference to the chapter title “Out Of The Frying Pan, Into The Fire”—would actually be the film’s second name change, as New Line previously registered and considered using The Battle Of Five Armies.